Eagle 1636 1-drum budget basin is a low cost spill containment solution. 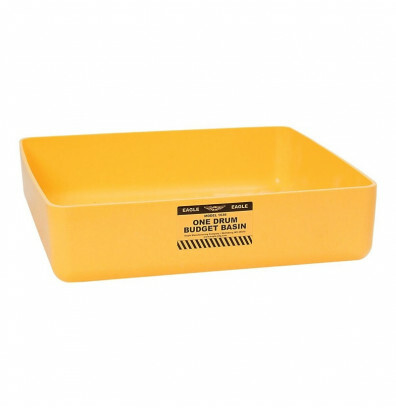 Constructed of yellow high-density polyethylene (HDPE) plastic for excellent chemical resistance. Capable of providing spill and leak protection for one drum. Load capacity of 5000 lbs. Spill capacity of 17.5 gallons.